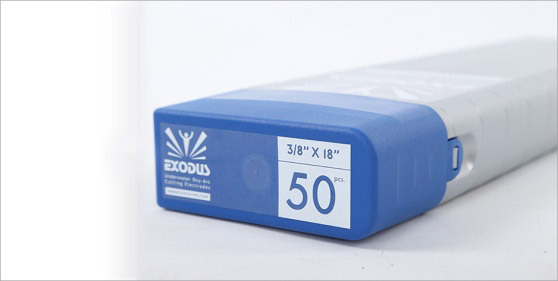 Exodus Oxy Thermic Cutting Electrodes deliver an outstanding performance in the most challenging situations. 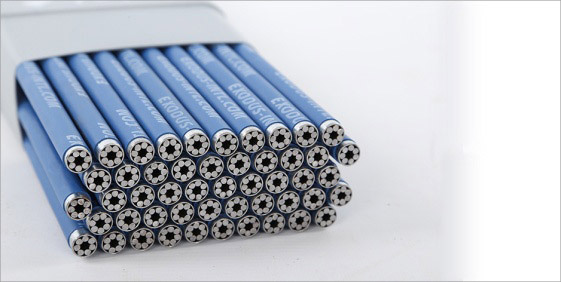 The balanced physical and metallurgical construction guarantees an effordless (re)ignition of the electrode. Medium pressure hose 75 cm, 1/2"
Medium pressure hose for regulators 90 cm flexi (octopus) yellow 3/8 "
Welding lens specially designed for Kirby Morgan helmets and band masks. Fully covers the face port and therefore provides optimal eye protection. 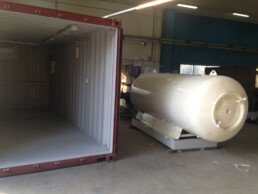 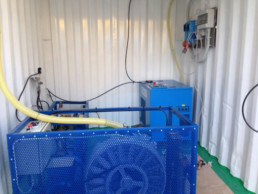 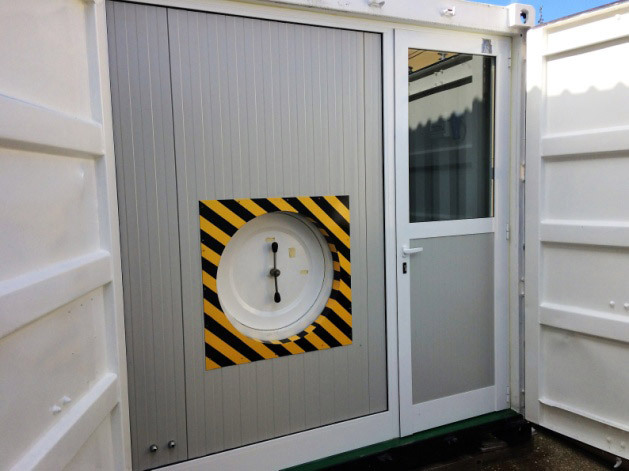 20 feet Container Decompression chamber diam 1500 double lock plus air quad air conditioned, certified and tested"
20 feet Container decompression chamber diam 1300 double lock plus air quad air conditioned"
In June 2010, the UNI11366 standard that regulates commercial diving in Italy came into force. 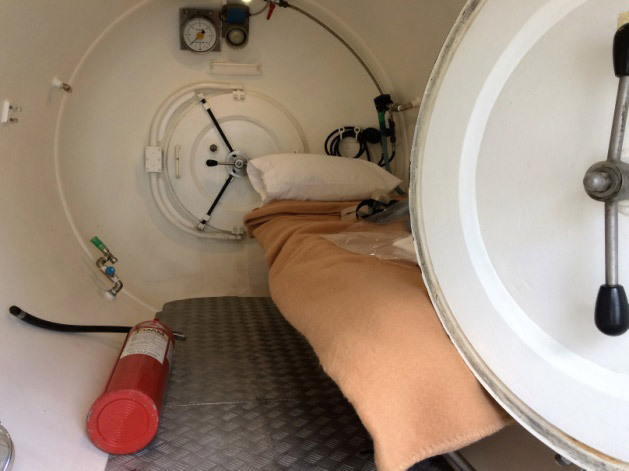 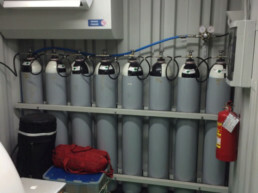 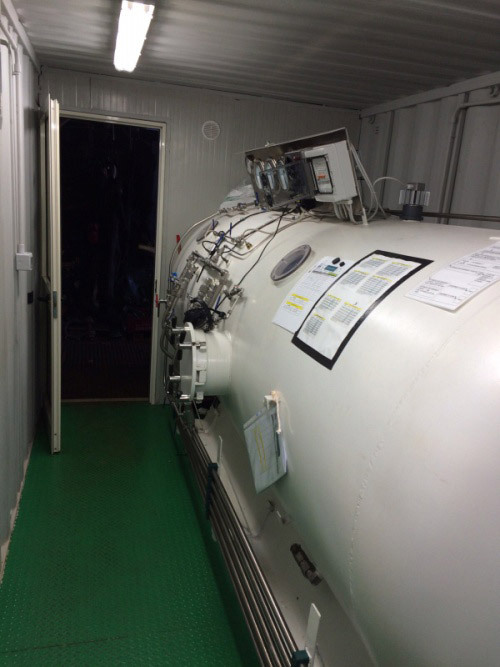 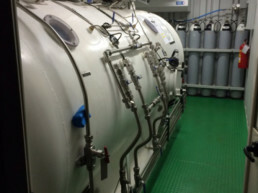 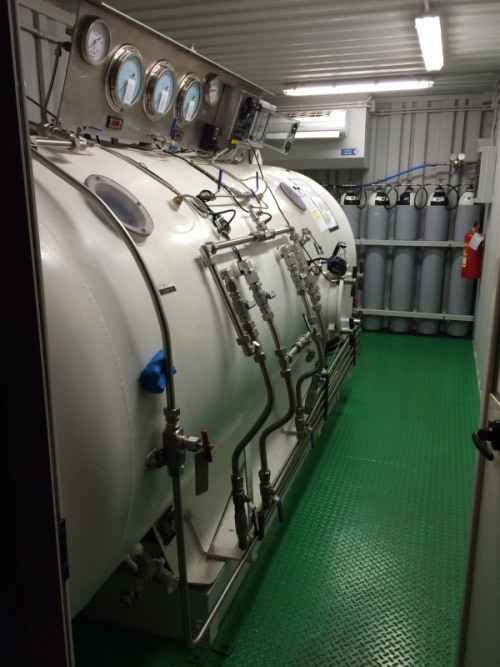 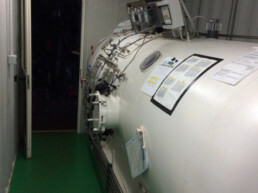 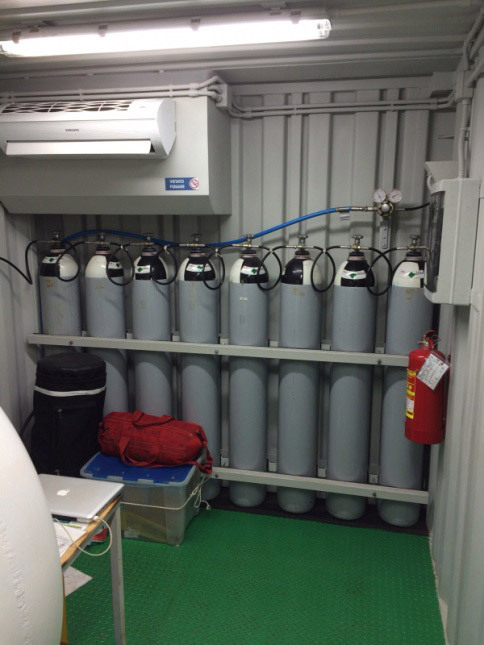 This standard provides mandatory use of the decompression chamber for all underwater interventions deeper than 12 m.
The Decompression Chambers must comply with certain requirements as established by the regulations in force.In addition to complying with these regulations, our systems have been designed to ensure maximum comfort (air-conditioned containers), easy transport and installation on any vessel. 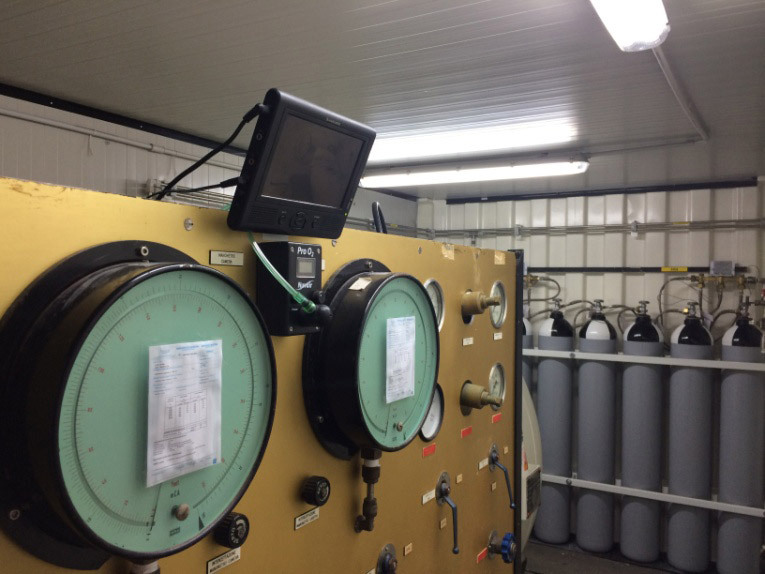 Graduated from the Nautical Technical Institute of Ortona after having served in the Italian Navy, in the swimmers department. 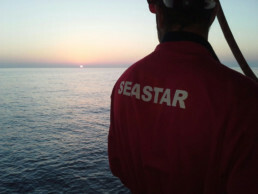 Having loved the sea since childhood, he decided over the years to transform his passion into work. Towards the mid-1980s, he began his career both as a shallow and deep water diver, in the Sub Sea Oil Services Group Micoperi, a leading company in the diving and offshore industry, continuing as a freelancer during the following years. 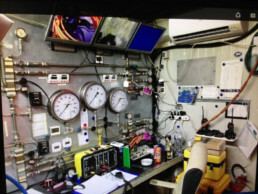 The desire to learn and the passion for his job, which grew year over year, led him to get on the market with his own company. Antonio Gianfreda was then a partner and founder of the first underwater work company in Abruzzo established in the 90s at the national level. 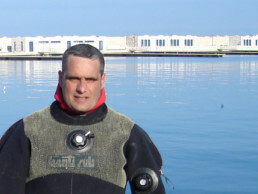 He also promoted the 1st course for professional divers held in Abruzzo in the year 1992. 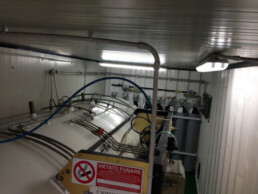 At the beginning of 2000 he decided to leave the company he founded to re-establish himself on the market as a freelancer, participating in the realization of important projects as Superintendent. 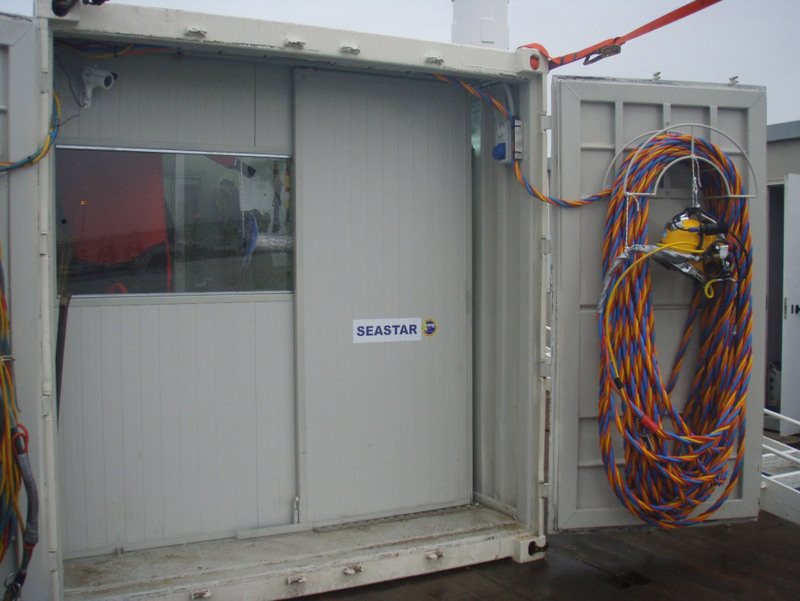 In 2007 he created SEASTAR to start a new adventure.